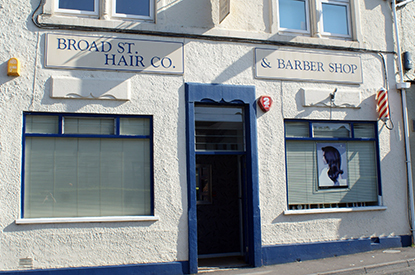 Our Winscombe salon is our second salon, opening in 1999. This salon is run by Dan. Dan has been with broadst.hair since 2004, moving from stylist to manager. Dan is an outgoing, passionate hairdresser and he wants all his guests to receive the best hairdressing and service from him and his team! Thoughtfulness ..and the little things.a little rose water..explaining and describing what a difference each application will make ..remembering a little water and of course a fabulous result ..hair looking great. Thank you. I’ve been going there for about 11 years now so I think I like it! Charlotte is superb at styling my hair. As always Dan does a super job on my difficult hair and as usual was cheerful, caring and great company. Amazing hair done by Lucy! I am extremely satisfied with my hair today, my hair looks incredible all thanks to Lucy ! Best team of people going ! Can’t wait to come back !!! Very nice and friendly staff. Pleased with the result, will return. Really pleased with my perm - fabulous job! Gemma rescued me from a home colour adventure!! Really good style and cut and colour much improved. Thank you. Im so pleased that I won a free wash, cut and blow dry. Couldn't have had better service. I wasnt treated any differently, Lucy was happy, professional and very accomodating. My hair looks and feels great!! I would highly recommend ???? At Winscombe they are always so friendly and talk through every decision I make to help me make the right choice for my very thick and wild hair! The results are always really fantastic and I’m so pleased with the outcome! Special thanks the Lucy for putting up with my many changes and thick hair! Really enjoyed my first visit. Friendly and happy athmosphere. I was made to feel very welcome and reassured about the restyle I was having. Dan was really attentive, a great listener and gave me comprehensive advice on how to manage my hair. I will definitely be back! It was my child's 1st hair cut so wasn't sure how they would behave, but Dan who done the hair cut was very kind and took the time to chat with child and put then at ease. Resulting in a 1st hair cut and no tears. Thank you for what could have been a stressful time. I am very pleased with the hair cut. It's perfect I will be recommending you to my friends.